News Stories from The District Detroit. Fans of The District Detroit’s major sports teams will have another way to show their pride this spring thanks to new branded license plates issued by the State of Michigan. Union Joints is proud (and pumped) to announce that a Union Joints restaurant will anchor the new Little Caesars world headquarters campus expansion at the corner of Woodward Avenue and Columbia Street in Detroit. The 14,000 square-foot space along Woodward Avenue at the new Columbia Street retail destination will feature a second-floor patio that faces Comerica Park on the second level. The District Detroit is home to some of the city’s most impressive venues, where legendary performers and athletes have enthralled fans and won our hearts. Sports & Social Detroit, the premier sports bar at Little Caesars Arena, recently unveiled a revamped menu featuring high-grade beef burgers, flatbreads, fish tacos and new desserts. It’s cold outside but Lumen Detroit is keeping patrons warm with six heated igloos on the restaurant’s patio—one of the largest in downtown Detroit. The cozy dining areas, which have stylish PVC exteriors, are set to remain at least until mid-March. Colorful murals created to uplift and inspire students stand in the backdrop of two busy stairwells at the Mike Ilitch School of Business at Wayne State University. Cliff Bell’s, located just a block away from the bustle of Woodward Avenue near Grand Circus Park, is one of The District Detroit’s most unique cultural institutions. The next steps in the restoration of the Women’s City Club building and Detroit Life Building were approved recently by the Detroit Historic District Commission. The week-long spread of baseball fever and Detroit Tigers giving will culminate with an afternoon of family fun on Saturday, Jan. 26. For more than 30 years, the Coalition On Temporary Shelter (COTS) has worked hard to help Detroiters overcome homelessness and attain self-sufficiency. From Bubble hockey and open ice skating to video games and curling with Team USA Olympic gold medalist Tyler George, indoor and outdoor family fun will be plentiful at the inaugural Hockeytown Winterfest, presented by Coca-Cola and Meijer at Little Caesars Arena. An artistic tribute to Detroit Red Wings legend Chris Chelios and former Detroit Pistons defensive marvel Ben Wallace has arrived at Little Caesars Arena. Another year is closing, and the rapidly-developing The District Detroit has much to celebrate as 2019 approaches. Detroiter Ryan Luster nearly lost her home after a long-term period of unemployment and she fell behind on rent. After finally beginning work again, she found even more success and hope at the Payne-Pulliam School of Trade and Commerce. Smoked meat, Michigan-grown produce and an array of house-made sauces reflect just some of the latest items that appear on Hockeytown Café’s fall menu. Olympia Development of Michigan joins the award-winning Sahara Restaurant & Grill to announce that the local favorite will bring its unique Mediterranean and Middle Eastern flavors to The District Detroit by opening its first location in the city next year. A sinister musical, a freaky masquerade and a costume contest with a $1,000 cash prize are among several events scheduled to spook fans and concertgoers during the Halloween season in The District Detroit. 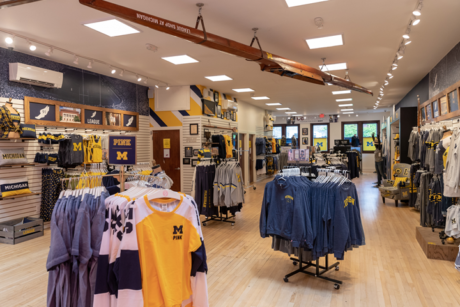 The M Den and Olympia Development of Michigan announced today that the official merchandise retailer for University of Michigan athletic apparel will open its first Detroit location along the new Columbia Street shopping and dining destination next year. Riann English is one of 24 Cass Technical High School students who completed a 9-week internship at Ilitch Holdings, Inc. companies this summer. Frita Batidos and Olympia Development of Michigan announced today that the award-winning Cuban inspired restaurant is joining Detroit’s incredible resurgence with a location at the new Columbia Street shopping and dining destination next to the historic Fox Theatre and the new Little Caesars world headquarters campus expansion. Alexandra Castro is one of 24 Cass Technical High School students who completed a 9-week internship at Ilitch Holdings, Inc. companies this summer. Riley Grice is one of 24 Cass Technical High School students who completed a 9-week internship at Ilitch Holdings, Inc. companies this summer. With the help of his internship at Little Caesars, Davelle Hunt has discovered a possible career in Curations. 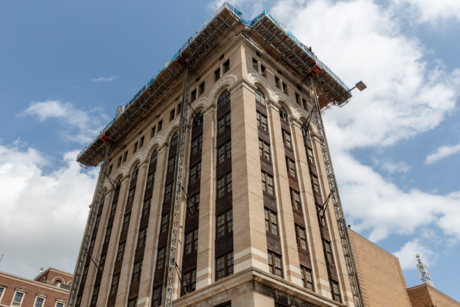 Renovation of the exterior of the nearly 100-year-old Detroit Life Building is continuing as part of Olympia Development of Michigan’s planned redevelopment of several historic buildings in The District Detroit. Black journalists and other media professionals of color from across the country will descend on Detroit for the National Association of Black Journalists’ 43rd annual National Convention and Career Fair, scheduled for August 1-5. For Detroiter Kisha Gibson, MotorCity Casino Hotel is like home. As an executive host, she makes sure that when guests arrive, they eat, relax and depart eager to return. Summer is in full swing, and sports and entertainment venues throughout The District Detroit are offering plenty of options to bend, spin, run and dance into shape this year. For the fourth consecutive summer, 24 students from Cass Technical High School have landed at various Ilitch Holdings, Inc. companies to work as interns where they’ll get experience in a corporate work setting. There will be plenty to do this weekend in The District Detroit with concerts planned at Comerica Park and Little Caesars Arena, while BIG3 basketball makes its Detroit debut. Before sports and music fans flock to Comerica Park and Little Caesars Arena, specially-trained Labrador Retrievers and their handlers sweep the venues from top to bottom to help protect visitors to The District Detroit. In just under a year, Little Caesars Arena has seized the attention of the sports and entertainment industry with its innovative design and state-of-the-art amenities, garnering numerous awards in several categories. The construction of the Mike Ilitch School of Business at Wayne State University is just about complete, thanks in part to the vigorous work of nearly a dozen Detroit-based and Detroit-headquartered businesses. New interior conceptual renderings for the Little Caesars world headquarters campus expansion reveal just some of the world-class amenities that will be open to employees and visitors when the new building debuts. JR JR, Detroit’s own indie pop duo, is back in the city for a free concert at Beacon Park. Nearly two dozen City of Detroit and Wayne State University police officers with new skills in effective leadership and management recently received graduate certificates from the Mike Ilitch School of Business at Wayne State University. Detroit Medical Center (DMC) and Olympia Development of Michigan announced today a long-term agreement to build a state-of-the-art facility in which DMC will lease a portion of the building to operate a one-of-a-kind sports medicine facility. Cass Park, one of the many crown jewels of the historic district for which it is named, got a facelift recently, courtesy of Ilitch Charities. Short-term parking designated for customers of the XFINITY Box Office at Little Caesars Arena is now available at the Little Caesars Arena Parking Garage. Tori Manix has been around construction sites since she was a preschooler. Manix, a vice president at Plante Moran’s Real Estate Investment Advisors, grew up learning about real estate and construction through her father’s successful business. Leading urban planning and real estate industry professionals from around the world have landed in Detroit to visit and study Little Caesars Arena and other landmarks in and around the city for the Urban Land Institute’s annual Spring Meeting May 1-3, 2018. Olympia Development of Michigan today announced six projects in The District Detroit, including the restoration of three vacant historic buildings and the construction of three new mixed-use buildings near the state-of-the-art Little Caesars Arena. When Mike and Marian Ilitch purchased the Detroit Red Wings from Bruce Norris in 1982, they ushered in a new era in the team’s storied history. The District Detroit’s food scene continues to heat up with the addition of a new restaurant in Beacon Park, DTE’s new public space managed by the Downtown Detroit Partnership. The Detroit Pistons’ historic move to Little Caesars Arena in The District Detroit has led to an increase in ticket sales. St. Patrick’s Day weekend is right around the corner, and The District Detroit will be bustling with activities for the entire family as restaurants, theaters, bars and other venues celebrate the weekend with festive drink deals, food specials and entertainment. When Little Caesars Arena debuted on Woodward Avenue in September, sports fans and concertgoers encountered many unique features, including a montage of hand-crafted tile cascading along the east side of the venue. When Mike and Marian Ilitch made their historic $40 million donation to the business school at Wayne State University in 2015, the Little Caesars Pizza co-founders said they wanted to support the next generation of Detroit entrepreneurs and help spark opportunity, community building and philanthropy. With its location at Little Caesars Arena along Woodward Avenue, Mike’s Pizza Bar is a busy, highly-visible dining experience. Now just a couple of months away from the end of construction and the start of move-in, work crews are racing to the finish line focused on drywall, painting, limestone and interior glass installation, sidewalk paving and landscaping work. Those looking for a romantic date on Valentine’s Day will have plenty of options to choose from in and around The District Detroit. 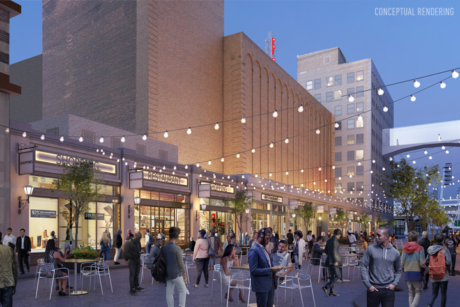 The District Detroit’s Columbia Street will bring 40,000 square feet of new retail in ten new storefronts between the Fox Theatre and the new Little Caesars headquarters expansion. With the addition of three new parking structures last year, fans and visitors of Little Caesars Arena and The District Detroit now have access to more than 7,800 secure, well-lit and credit card-ready parking spots operated by Olympia Development of Michigan. For Lashinda Stair, 1st Assistant Chief at the Detroit Police Department, being a good law enforcement officer includes good management skills. The Detroit Pistons, along with several nonprofit organizations and institutions in The District Detroit and surrounding areas, will celebrate and honor the legacy of the Rev. Dr. Martin Luther King, Jr. starting this week. The new Little Caesars Arena isn’t the only Michigan-Made, Detroit-Built creation at 2645 Woodward Ave.
An ongoing look at the people who bring life to The District Detroit. The new, state-of-the-art Mike Ilitch School of Business at Wayne State University is nearing completion and will welcome its first students this spring. The Ilitch organization is giving back for the holiday season, right in The District Detroit. The new Little Caesars world headquarters campus expansion is continuing to take shape as installation of the iconic, one-of-a-kind slice-shaped glass façade begins on Woodward Avenue. Cass Technical High School junior Zechariah Bailey has been deeply immersed in science, technology, engineering and math for a decade thanks to the Detroit Area Pre-College Engineering Program. More than 200 Detroit Red Wings, Olympia Entertainment and 313 Presents employees have moved into a new four-story mixed-use building at Little Caesars Arena along Woodward Avenue in The District Detroit. Currently working at the Little Caesars world headquarters campus expansion jobsite, Detroiter Vanessa Edwards is a pro at moving heavy-duty equipment on construction sites. Detroit-native Maria Franklin is taking part in Detroit’s comeback. An MBA candidate at the Mike Ilitch School of Business at Wayne State University, Franklin is learning all about the sports and entertainment industry in Detroit with an eye on the future. 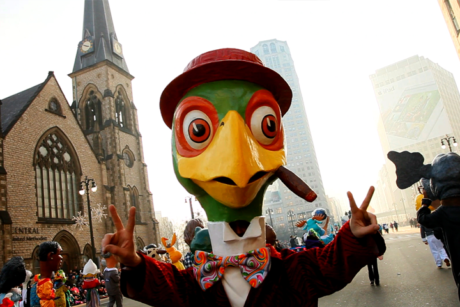 Thrilling new events will begin and decades-old traditions will return in The District Detroit on Thanksgiving Day, Thursday, November 23. Detroit-based businesses are leading the way in construction of the city’s first newly-built corporate headquarters in more than a decade. The Mike Ilitch School of Business at Wayne State University is halfway complete, and work crews have begun installing the building’s exterior glass façade, along with its exterior limestone, metal panels and custom curtain wall systems. Detroit-resident Anthony Hughes has always had a deep love for his hometown. That love only grew deeper when he heard about the opportunity to work on construction projects in The District Detroit and support the city’s resurgence with his own hands. 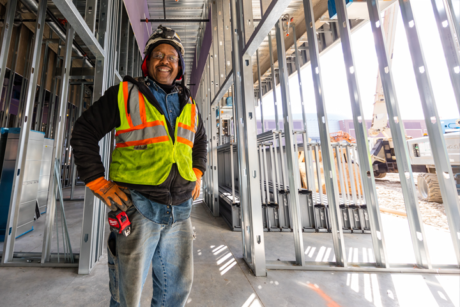 Dino Vann, a Detroit ironworker, has been a mainstay on The District Detroit job sites since 2015—helping to install steel beams at Little Caesars Arena Little Caesars world headquarters campus expansion. It’s not just any elevator—the hoist that raises tradesmen up nine stories of the new Little Caesars World Headquarters campus expansion is also raising awareness for breast cancer in a program called “Ride the Pink Elevator,” which is a fundraising effort for breast cancer research in Metro Detroit. Chilling, sinister and festive events will take place in The District Detroit leading up to and on Halloween this year. The Detroit Pistons ushered in a new era in Detroit sports and entertainment history during their 2017-2018 season opener against the Charlotte Hornets at the new Little Caesars Arena. A partnership between Olympia Development of Michigan, Ilitch Charities and the College for Creative Studies creates opportunities for art students to put their stamp on Detroit through several new art installations in and around Little Caesars Arena. Detroit native Isiah White is working to revitalize Detroit just a few blocks away from Cass Tech High School where he honed his love for math and problem solving. 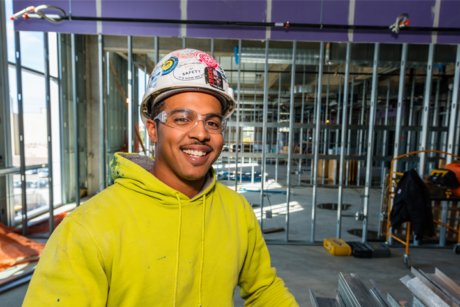 He's putting his skills to work at the new Wayne State University Mike Ilitch School of Business under construction on Woodward Avenue. The Detroit Pistons will help usher in a new era in Detroit as they begin playing their first preseason games at Little Caesars Arena, beginning tonight against the Charlotte Hornets. The preseason game marks the first professional game the Pistons will play at the arena and the first home game in the city of Detroit in nearly 30 years. It’s the first weekend of Fall 2017 and we’re kicking it off big with home games at Comerica Park, Ford Field and Little Caesars Arena—all within blocks of one another and alongside new bars, restaurants and old haunts throughout downtown. A new era of sports and entertainment begins today in Detroit as Little Caesars Arena officially opens to the public with the first of many exciting games, concerts and events planned throughout the remainder of 2017 and beyond. The District Detroit Mobile App presented by XFINITY, available now in the App Store and Google Play Store. The District Detroit App is the next phase of the organizations’ commitment to providing a first-class guest experience at Little Caesars Arena and throughout The District Detroit. Construction of Little Caesars Arena and other projects in The District Detroit are giving Detroit residents opportunities to find new lifelong careers. Little Caesars Arena is the product of 600,000 hours of hard work logged by Detroit construction workers. According to our research, it’s the most hours worked by Detroiters on a project, in over 40 years. As the official debut of the new, innovative Little Caesars Arena nears, several hundred community stakeholders, professional athletes, government officials and fans gathered today at the sports and entertainment complex for a ribbon cutting ceremony that signified the continued revitalization of Detroit. With all the excitement and development in The District Detroit and beyond, there will be noticeable signs of progress – and ongoing construction. Plan to arrive early when attending an event and enjoy one of four Little Caesars Arena restaurants – open on event and non-event days – or any one of the establishments in the area. As part of growing The District Detroit development, Mike’s Pizza Bar and Sports & Social Detroit will bring well over 300 new jobs to Detroit. The District Detroit is fast becoming a “Michigan Made-Detroit Built” reality that is providing jobs, opportunity and apprenticeships for the community. The development, which will encompass 50 city blocks with sporting events, shopping, dining and housing, has spurred the creation of more than 670 apprentice and pre-apprentice positions since April 2015. More than half the apprentices are Detroit residents. Crews working hard on the new, innovative Little Caesars Arena were treated to a complementary BBQ lunch, a commemorative t-shirt and a shot of encouragement and praise recently. The District Detroit is taking another leap forward with the addition of two specialty dining experiences to open concurrently with Little Caesars Arena in September. Jaren Glasker, safety manager at the Little Caesars World Headquarters campus expansion, is one of the many hardworking crewmembers bringing The District Detroit to life. He's worked in the construction industry for 17 years and today he’s keeping workers safe and sound as they bring the project to completion. The Detroit Red Wings today announced the details for the second annual Hockeytown 5K Run/Walk, presented by Meijer and Powerade. Building on last year’s sold-out event, this season’s race will take place on Sunday, Sept. 10 from 7:00 a.m. – 10:30 a.m., and will finish outside Little Caesars Arena. Fans attending concerts, shows or sporting events at the new Little Caesars Arena will enjoy state-of-the art video displays designed, manufactured and installed by Daktronics, the world leader in audiovisual systems and implementation. Jennifer Emerick is keeping construction of the new Mike Ilitch School of Business on schedule and on budget. It’s her job as senior project manager to deliver a modern new business school for students at Wayne State University—and she’s doing just that. 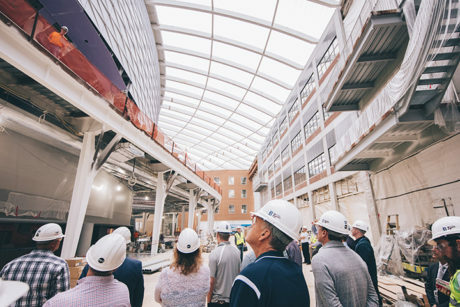 Detroit Tigers players, coaches and front office staff toured Little Caesars Arena today where they visited with construction crews and got a first-hand look at the progress on the new arena. Little Caesars Arena will open in a little more than three months with sports, concerts and other events. It’s the home of the Detroit Red Wings and Detroit Pistons and the centerpiece of The District Detroit development. The Cass Park Village neighborhood near Little Caesars Arena got a makeover recently—a Motor City Makeover. Volunteers cleared branches, debris and trash from the streets and sidewalks that surround Cass Park, one of Detroit’s oldest city parks. Detroit will make history again when the QLINE streetcar starts running this weekend along Woodward Avenue. 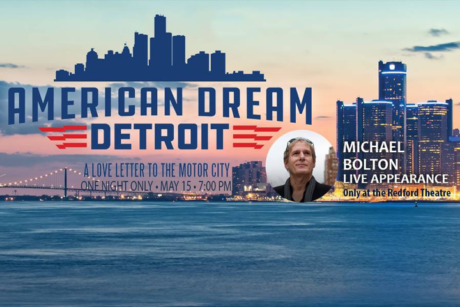 This history-making event deserves to be celebrated in style—which is why we are planning a giant celebration with all four of Detroit’s sports teams, as well as Little Caesars Pizza, MotorCity Casino Hotel, Ilitch Charities and more. High school students from throughout Michigan attended Michigan Construction Career Days May 4-5 to learn about career paths in the construction industry. The goal of the annual event is to introduce young people to career opportunities in construction trades like carpentry, mechanical and electrical work.